WARNING: Big. Huge. Earth Shattering Announcement Ahead. Hello again! 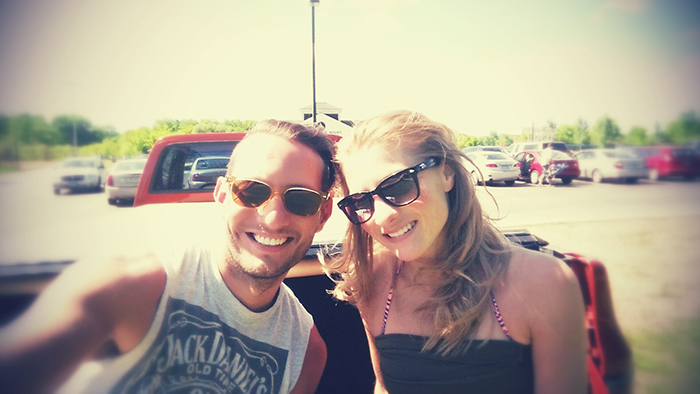 Can you believe it’s been more than three months since you’ve last heard from me? I’ve had a lot of time to noodle on the blog and what the next step will be… that and a WHOLE bunch of (more important) life things of course :) With that said, it’s a bit bittersweet for me to announce that in a few days my blog baby Hammers and High Heels will no longer be “Hammers and High Heels” as I will begin transitioning it over to it’s new title and URL/web address. The same goes for our Facebook page. “WTF Carla?!? Why the hell would you do that? WHY!?!!" 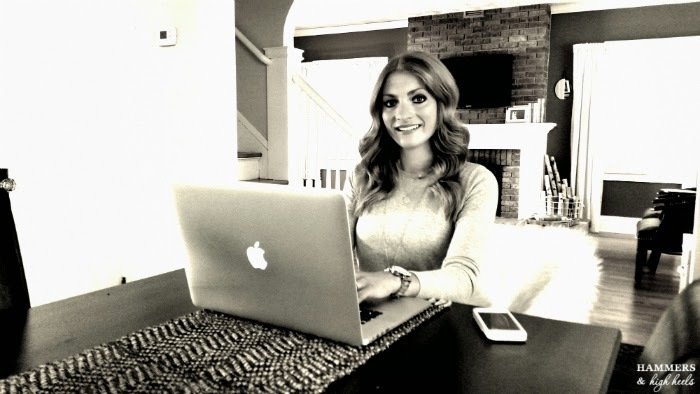 Looking back to when we began our blog, I had no idea really what it would be or become. 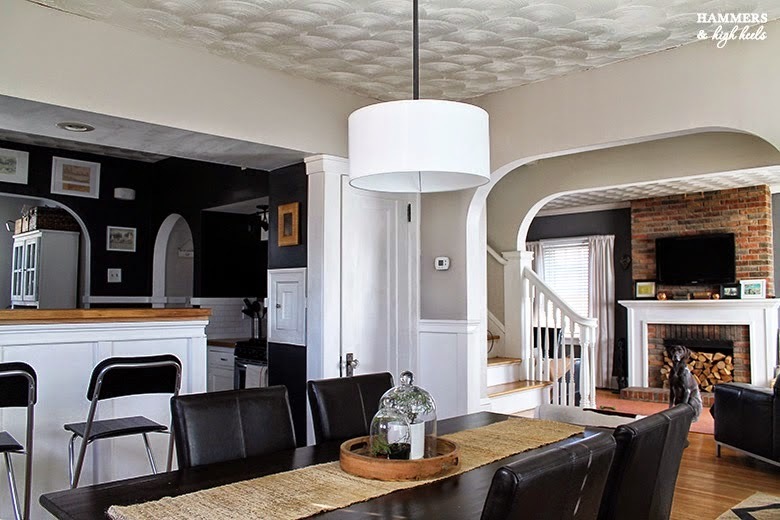 I only knew we were going to share our home renovation photos and stories, then over time as it grew and our audience grew so did my attachment to it's name & title. So naturally, parting ways with it is somewhat emotional for me but I’ve probably been ready for it for more than a year now. 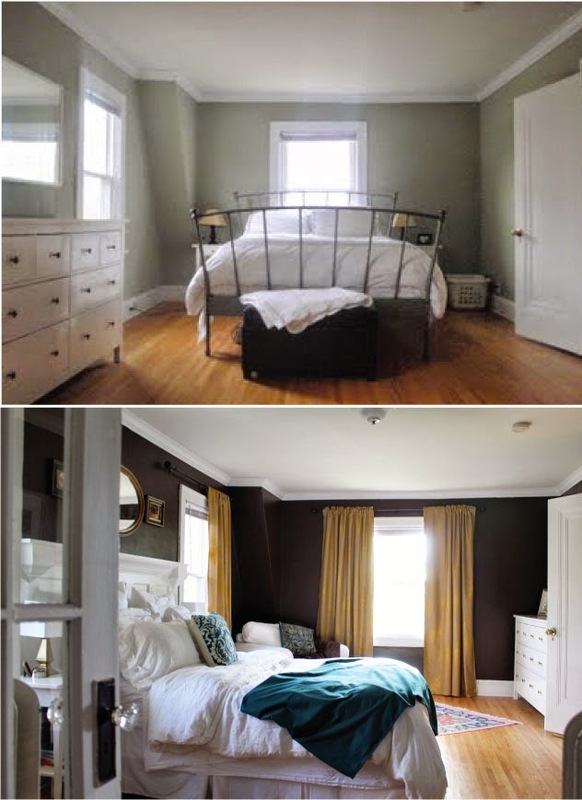 The ongoing home projects/ renovations/ to-do’s/ painting, repainting/ DIY’s/ etc. got old. We were over it, the blog world was over it, and then everything got all dull and silent here. Our home finally felt complete. There were no more Hammers and High Heels tales to tell and that was when I realized it was appropriate to move on from it. So heck no we’re not going away! We still have a story to tell and questions to ask. Stories about our lives, travels, food, family, fashion, pet peeves, struggles, etc… and I am sure there will still be some about our home or home decor, but that won’t be a primary focus anymore. We’re working on re-naming/re-branding our blog and setting up a new URL location along with a temporary re-direct (so fear not, we’ll help you find our stories while we work on 'finding' them too!). I'll have all of that information posted up on Monday August 31st, so be sure to stop back so you’ll have all the deets! Late Friday I realized that it had been six years since the day we closed on our home and moved into this little old Dutch Colonial. S I X... Y E A R S... It's sounds like such a long time ago but it feels like I blinked and here we are. Wish it felt like that when we were in the middle of each house project, right?! 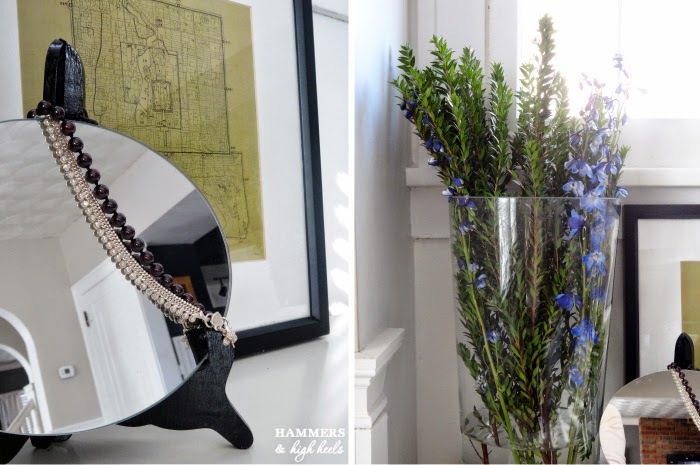 In those moments, during each and every DIY renovation, it felt like time stood still and we weren't getting anywhere with anything in this house and that it was never going to look the way we dreamed that we could make it look. Now here we and the place looks nothing like the bland peachy/beige box we walked into six years ago. The crazy thing looking back now (which is a good thing I must mention for any new fixer-upper owners out there), most of the work we did happened in the first 3 years we owned the house and then more minimal updates happened during the last 2-3 years. Which project do you think was most worth the pain? What was the most painful or longest project in your home? 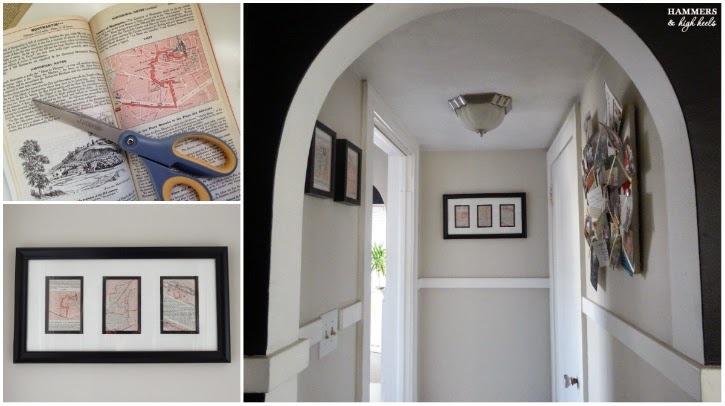 I've been working on a couple fun DIY projects and have the first ready to share- DIY wall art made from a 1959 Paris Michelin Guide Map! If you have any bare walls at home and aren't sure what to put on them, this is a SUPER budget friendly and thoughtful way to add in some wall decor. If you have any bare walls at home and aren't sure what to put on them, this is a SUPER budget friendly and thoughtful way to add in some wall decor. 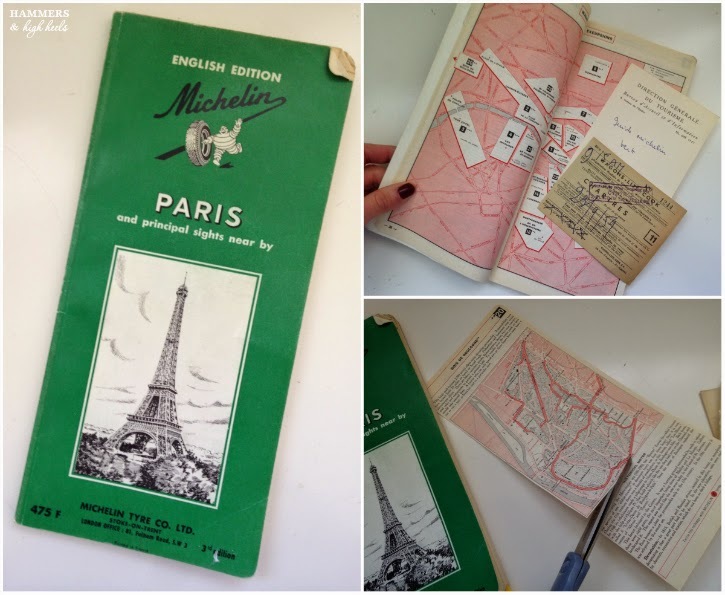 Kind of crazy that I picked up this 1959 Paris Michelin Guide Map for just $5.00 at an antique store in Hopkins almost TWO years ago! Can't believe it took me this long to do something with it but truthfully I kind of forgot I had it until I stumbled upon it a couple days ago while doing some spring cleaning and organizing... whoopsie! That's when my light bulb moment occurred- I could use these maps for wall decor in the small hallway under the stairs! 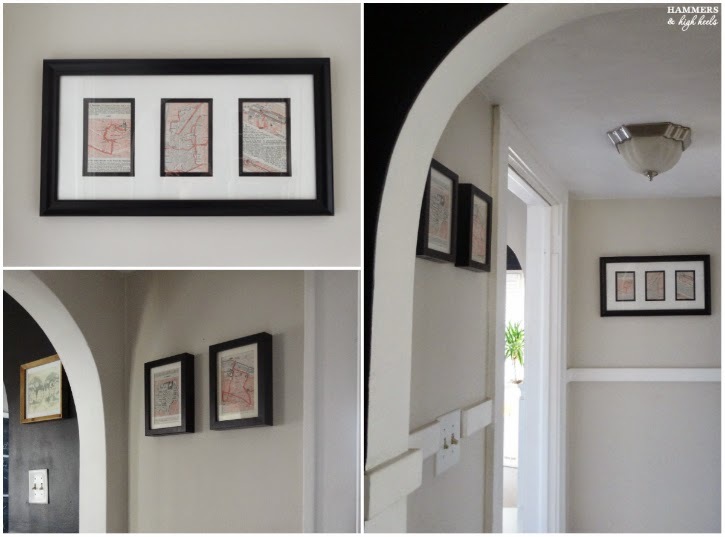 So, I thumbed through the guide book and picked out six maps for my 4"x 6" frames and hung them up in the hallway. I think the contrast of the black frames really pops against the paint color (Behr's Sandstone Cove) and the dusty pink + red maps create the perfect accent color combo! I know I haven't shown this space on the blog before so in case you are wondering, the hallway connects our kitchen to the back entryway and the door on the right leads into our scary old basement. We have a couple topographic maps by the kitchen so I like that the theme/type of art flow is similar through to the hallway. Like I said, if you have some bare walls you are looking to fill at home be sure to always keep an eye out for interesting books at antique or thrift stores. 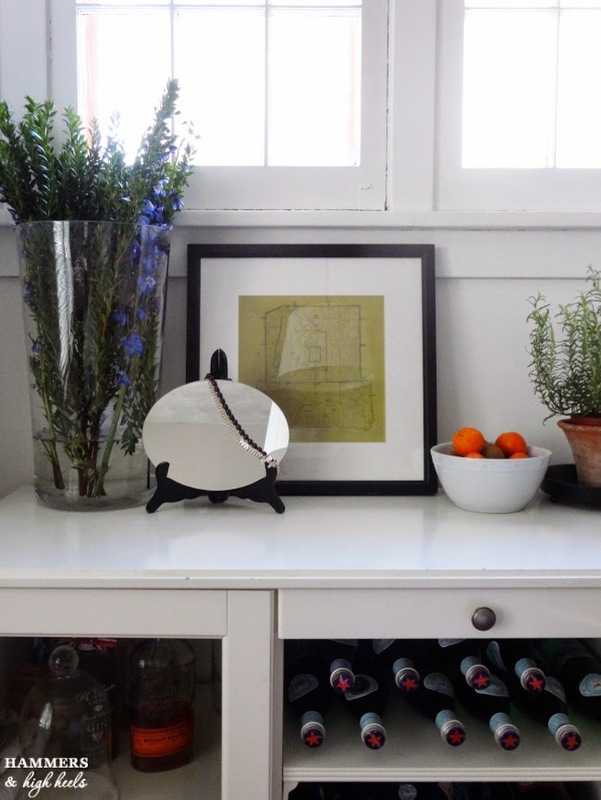 Who knows, you might be able to create a whole gallery wall with a couple thrifty book finds! What do you think of the new DIY wall decor? Would you have done something different with the guide book maps? I'd love to know! I'll be working on another forgotten antique find this weekend. Can you believe I got this antique camping stool almost THREE years ago and haven't done anything with it?! It's just been sitting in our old gross basement, poor guy. Anyway, cue the makeover montage music, it's time to get to work! Ugh, I love a good makeover montage. I mean who doesn't?! I'd love to hear any color/finish/fabric suggestions for the stool, let me know! Be sure to stop back to see how it turns out! Hello and happy Monday from sub-zero Minneapolis! Hope you had a nice weekend, I'd say mine was nice-ish because even though I hate being trapped inside during this long stale part of winter, I did manage to tackle a couple sewing projects! So... WIN (slash "nice-ish")! 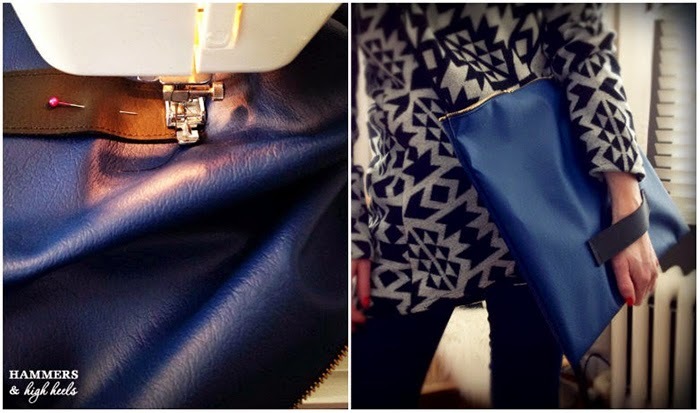 First up to share is an update to my DIY Leather Zippered Clutch tutorial from last year. The new twist- Angled corners! 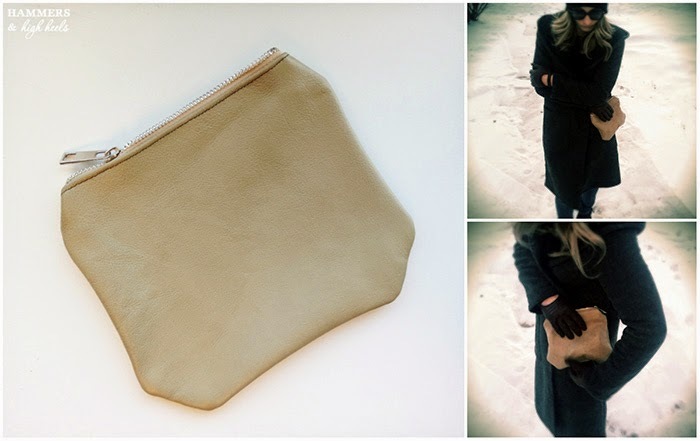 Not gonna lie, it's a pretty simple update honestly :) Glad that I went ahead and tried it though because I still use my zippered clutch/pouches all the time and after a year, it's pretty nice to have something a bit different to make the ol' zippered clutch look new and fresh! ... and then cut off the excess/triangle corner piece. Easy-peasy! Like I said, not rocket science or anything, just a simple switch-up to something I've loved for the past year! They say change is always good, right? Hope to share the tote bag I've been working on next! Fingers crossed it doesn't end up being a huge FAIL... eek! Wish me luck! 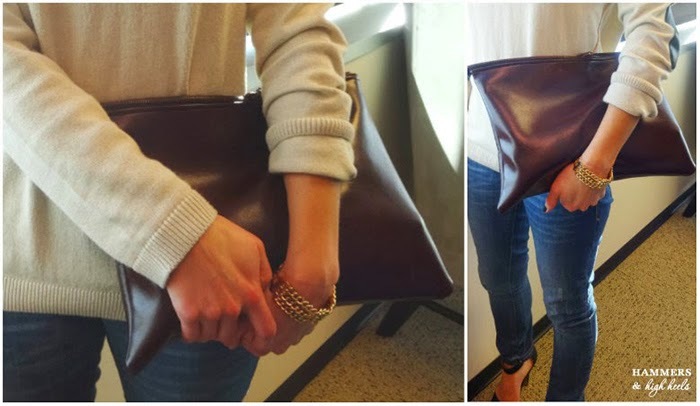 What do you think of the new clutch/pouch shape? What new twist/update would you have done instead?